February 2019. 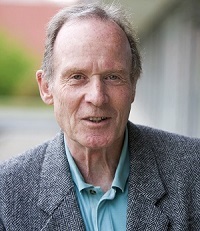 Ernst Bamberg, long-term Director of the Department of Biophysical Chemistry at the Max Planck Institute for Biophysics in Frankfurt/Main will receive together with Ed Boyden (Boston, USA), Karl Deisseroth (Stanford, USA), Peter Hegemann (Berlin), Gero Miesenböck (Oxford, UK) and Georg Nagel (Würzburg) the renowned Rumford Prize of the American Academy of Arts and Sciences, the oldest prize (1839) awarded by the Academy. The scientists receive the award in "recognition of their extraordinary contributions to the discovery and development of optogenetics". The award ceremony will take place on 11 April 2019 at the Academy's headquarters in Cambridge (MA, USA). “A storied science prize that was awarded to Thomas Edison in 1895 for his work in electric lighting; Edwin Land in 1945 for his applications in polarized light and photography; Enrico Fermi in 1953 for his studies of radiation theory and nuclear energy; and Federico Capasso and Alfred Cho in 2015 for their contributions to the field of laser technology will next be awarded to Ernst Bamberg, Ed Boyden, Karl Deisseroth, Peter Hegemann, Gero Miesenböck, and Georg Nagel in recognition of their extraordinary contributions related to the invention and refinement of optogenetics. First awarded in 1839, the Rumford Prize given by the American Academy of Arts and Sciences recognizes contributions to the fields of heat and light. The Rumford Prize will next be presented during the Academy’s Annual Awards Ceremony on April 11, 2019, at the Academy’s headquarters in Cambridge, Massachusetts. Named “Breakthrough of the Decade” in 2010 by the journal Science, the field of optogenetics has furthered the fundamental scientific understanding of how specific cell types contribute to the function of biological tissues. On the clinical side, optogenetics-driven research has led to insights into Parkinson’s disease and other neurological and psychiatric disorders, as well as autism, schizophrenia, drug abuse, anxiety, and depression.